SCARS. Every one of us is full of them. Some physical, the result of an injury or a surgery. Some emotional, the scars seared into our hearts and minds through trauma. 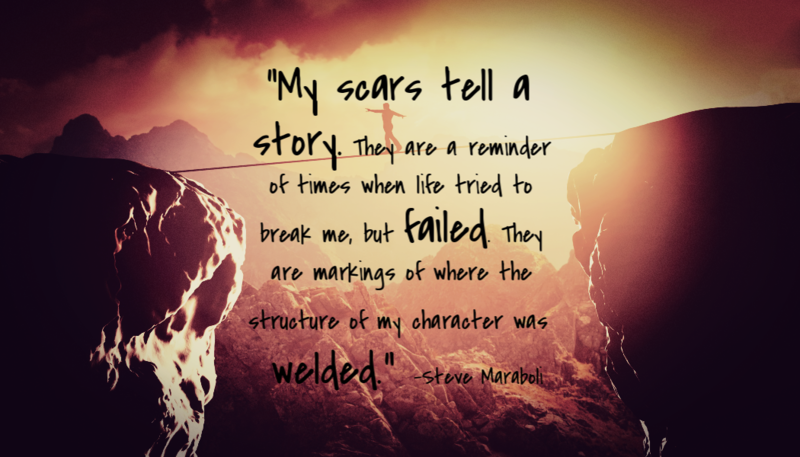 My scars are story tellers- stories of battles I’ve fought that should have killed me. They are a blueprint of great loss, sorrow, joy, pride, anger and tears. These scars are the proof that I showed up to the fight instead of running when all I did was want to run. My God, did I want to run. This is my story. The story of my beautiful scars. This is me. Bereaved. Grieving. Loss. These are the words that have described my parenthood for almost a decade and that length of time, for me, feels heavy. Like a weight stacked upon my chest that can be suffocating one day, yet a familiar and dare I say comforting feeling the next. I’ve become accustomed to the ache- to the longing. To the weight of my grief. After almost ten years of a parenthood often unseen, overlooked, judged, and even cast aside at times the familiarity of grief became the identity to which I clung because it was all I had left of my babies. It was my great love for them, left unfinished. I lost four of my precious babies within two years. Two years of my life were spent under the crushing waves of grief; losing my first three babies, Jackson, Grace and Reagan, early on in my pregnancies and then my fourth baby, Caleb, the day before he was supposed to have been born alive. The rip tide of the waves pulled me back in every time I thought I had found my footing and I was lost. I was weary… SO weary. I wasn’t sure how to survive this life, this “club” that no one chooses but you find yourself a part of anyway. My heart was seared with scars, precariously knitted back together with the thread of love, devotion to their memories, and a thin layer of hope. We tried for a living baby for five years after we lost Caleb but nothing was happening. Secondary infertility set in and it caused another layer of grief to our already weary, grieving souls. My heart would break every month that passed and our dream of a living baby felt further and further away. I was a leader in the infant loss community at this point, facilitating support groups and launching my own non-profit along with my husband, and as much as I poured into the grieving families that sat before me I felt like I was forever letting them down because I couldn’t give them the one thing they were desperate for: the hope and promise of a rainbow baby. It had yet to be fulfilled in my own life and each time one of these incredible grief warriors would search my eyes after asking the inevitable question of “did you go on to have a living baby?”, I could feel their fear that a rainbow wasn’t promised and the disappointment after I told them I hadn’t. I was the proof that nothing was promised; their greatest fear realized, standing right in front of them. My husband and I had always believed we would adopt a child at some point and after years of trying to conceive again we decided to look more seriously at it. When we looked into adopting a baby, it just didn’t feel right to us. Between the expense and the possibility that the birth mother could change her mind at the last minute, we decided that adopting a baby just wasn’t the direction we wanted to go. I’m a southern girl and in the south you’re raised by a village of secondary parents. You have numerous adults in your life that help watch over you, guide you, and quite often get after you when you’re not actin’ right. My second mama has worked in the foster care system for years and years and posted an article on Facebook around this time about adopting out of the foster care system. I felt a nudge, a shove, a “I-can’t-be-more-clear-if-I-tried” and I knew this was the direction God had in mind for us. After a few false starts due to fear and a strange introduction to the system at an orientation here in Denver, we found an organization to train us, an agency to guide us and we spent six months preparing our hearts and minds to adopt children out of foster care. Our adoption journey looked nothing like we thought it would and we realized that not only did we have our own grief, our own trauma to contend with, we now had two children that we were madly in love with that had their own as well. Grief and trauma that we had to take on ourselves to help them navigate it. More layers of grief. More scars for our hearts as we learned their stories and set about the task of creating our family. Adoption is beautiful, however it is born out of loss which is something you take on as an adoptive parent. After two years of navigating life as a family of nine including four babies in heaven, two living kids, and one (surprise!) grandbaby, we sat our kids down to let them know we were done building our family. 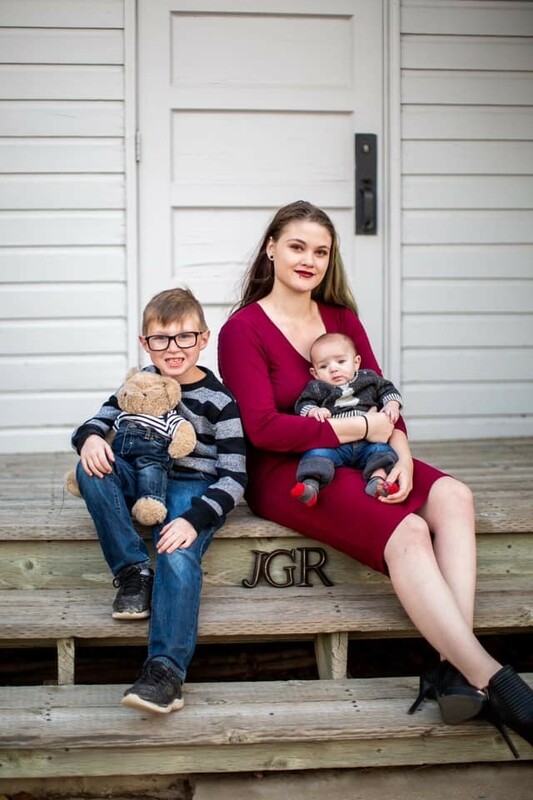 We were closing our foster care license, we weren’t going to adopt again, and we had given up on the idea that we would ever have another baby. This is it, we told them. This is our family. We had given up on our dream of having a living biological child which took a lot of processing for both my husband and myself. But we were grandparents now and had two amazing, living kids. It was time to close that chapter of our lives and move forward. Two weeks after our sit down with our kids about the family status, we found out we were expecting again. (INSERT SHOCKED EMOJI HERE!) We were sure we would lose this baby too, and now we would have to navigate it with living kids, something we hadn’t done before. We braced for impact. We prepared to have our lives and our hearts shattered again. We made room in our heart for another precious babe that we would live in our heart, rather than our arms. As each month passed and the baby was still alive I became more and more anxious. The all to familiar weight of grief felt like it would surely crush me because I was certain this baby wouldn’t live either. I was a wreck for nine, long months. In June of 2018 we welcomed our seventh child, a baby boy, who was BORN ALIVE! Y’all, there are no words to describe the feeling of our dream of a living babe realized. He is amazing and beautiful and we are so, so blessed beyond words to have THREE living children and one amazing little grandbabe. Grieving. Bereaved. Loss. Foster. Adoptive. Rainbow…. These are all words that encapsulate my parenting journey over ten years’ time. They each come with a bevy of emotions, including joy and sorrow. Fear and faith. Each step required me to cultivate a beautiful scar, scars I’m proud to share and show off. Strength. Grit. Grace. Survival. Warrior. Hope. All words that also encapsulate the last decade of my life as I’ve learned to navigate my new normal. Grief work is hard, y’all. So, SO hard. This is why I refer to families who have lost children as grief warriors. It takes a warrior to survive this life, to survive this journey and to cultivate a beautiful scar. It takes grit and grace. It takes holding on to hope, even when you’re unsure it’s even there. It takes standing back up when the waves of grief crash down around you. It takes a strength you never knew you had to face each and every day. Hear me well, dear ones: We. Are. WARRIORS! Even after ten years, I don’t have all the answers. I don’t have it all figured out. But I do know this- this is a sacred space where brokenness, messiness, unanswered questions, grief, love, and hope are welcomed. Journey with me, fellow Grief Warriors – let’s figure this life out together. This is me– real, raw and surviving. 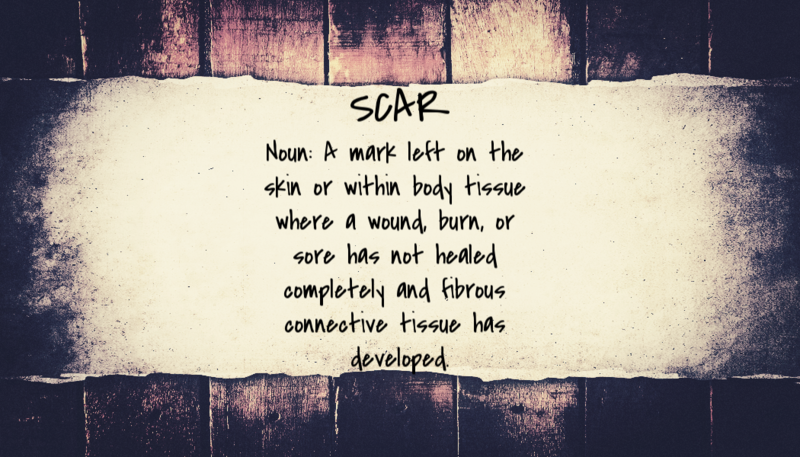 Welcome to The Beautiful Scar Project, y’all.